Leica Builder 100 - if you need to trust angles and alignments. 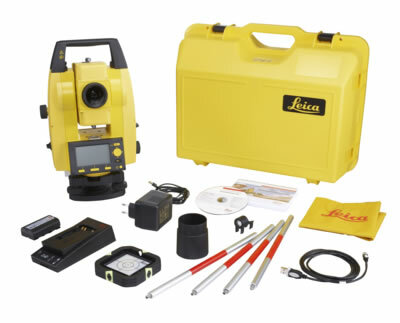 With a laser plummet for simple and fast setup over control line, dual axis compensation for accurate plumbing, endless drives eliminating steps, audible notice for 90° turns, graphical leveling aid for fast and convenient setup and IP55 rating, the Leica Builder 100 is an outstanding theodolite. All Builder Series models are delivered packaged in Sets for out-of-the-box usage (instrument & accessories image below indicative only).